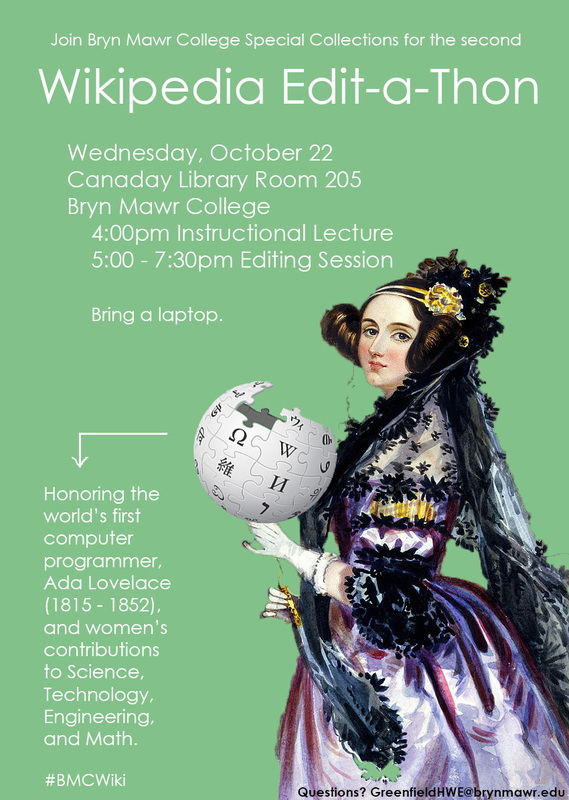 Bryn Mawr College Special Collections will host a Wikipedia edit-a-thon in honor of American Archives Month and Ada Lovelace Day, celebrating women in the fields of science, technology, engineering, and math. Join a group of students, staff, faculty, and members of the public for an opportunity to learn the skills of Wikipedia editing and contribute to accessible information about women in STEM fields. Mary Mark Ockerbloom, Wikipedian in Residence at the Chemical Heritage Foundation, will open the session with an hour-long instructional lecture covering the basics of setting up an account, beginning to edit, and positioning your articles for success on the site. The talk will be followed by an editing session from 5:00 – 7:30 in which participants can work on projects individually or collaboratively. No experience necessary, and attendees may feel free to come and go as needed. Please bring a laptop and charger for editing. 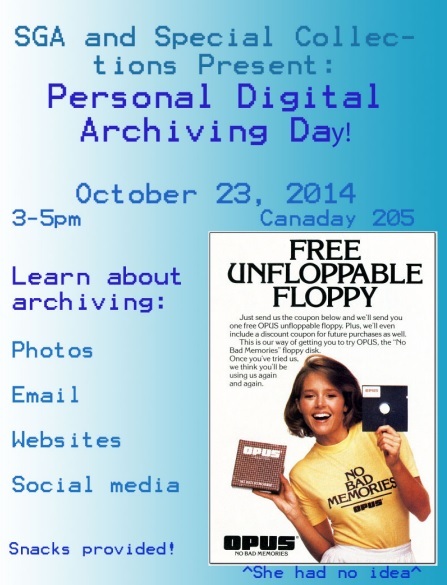 RSVP on the Wikipedia project page or to GreenfieldHWE@brynmawr.edu. Bryn Mawr is on the Paoli-Thorndale SEPTA line. Coming from Center City Philadelphia by car: From Center City Philadelphia Take I-76 west (Schuykill Expressway) to the City Avenue exit 339 (Route 1 South). Once on City Avenue, travel about 2.5 miles and turn right onto Lancaster Avenue (Route 30 West). Travel about 4 miles to reach the center of Bryn Mawr. Turn right onto Morris Avenue; a Sunoco station will be on your right and a Starbucks on your left. Follow Morris Avenue as it curves left under the train-track bridge then bears right. Cross Montgomery Avenue (at the traffic light). Continue on Morris Avenue past the Office of Admissions on the corner of Yarrow Street and enter the parking lot between the two stone pillars on the left. Canaday Library is a ten minute walk from the visitor parking lot; refer to a campus map for directions. Handicap parking spots are available adjacent to the library building: please contact the event organizer for information if necessary. 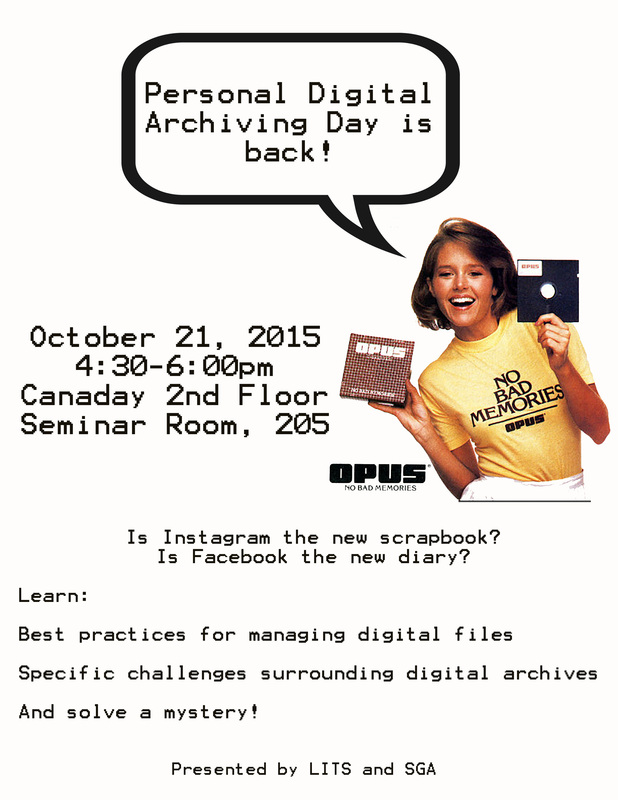 This event is to provide outreach and education for Bryn Mawr students on digital preservation. Personal digital archiving is taking steps (small or big) to ensure your family memories, personal and professional papers are safe from disaster, human error, or everyday digital wear and tear. Think about how helpful and meaningful preserving your student club or activity files will be for future Mawrters.